Transformers 3 will be Rosie Huntington-Whiteley 's debut as actress, she was model for Victoria Secret, that's how she met Michael Bay who directed one of their commercials. By the way, did you spot the nugget in the clip above? 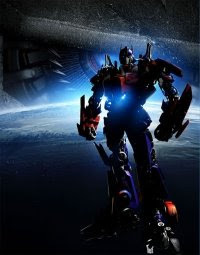 The first official title treatment of Transformers 3!